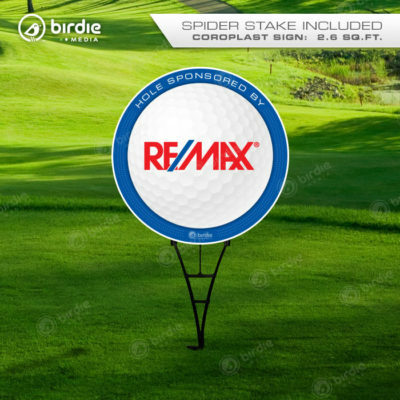 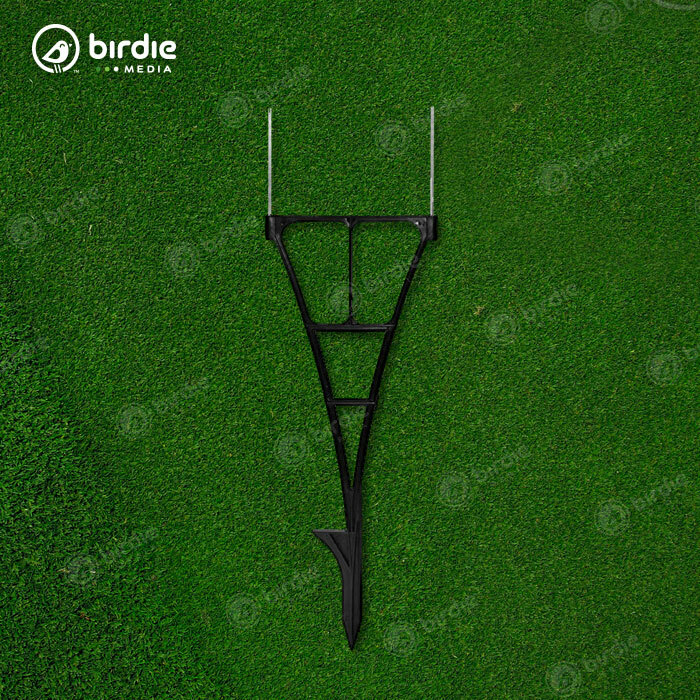 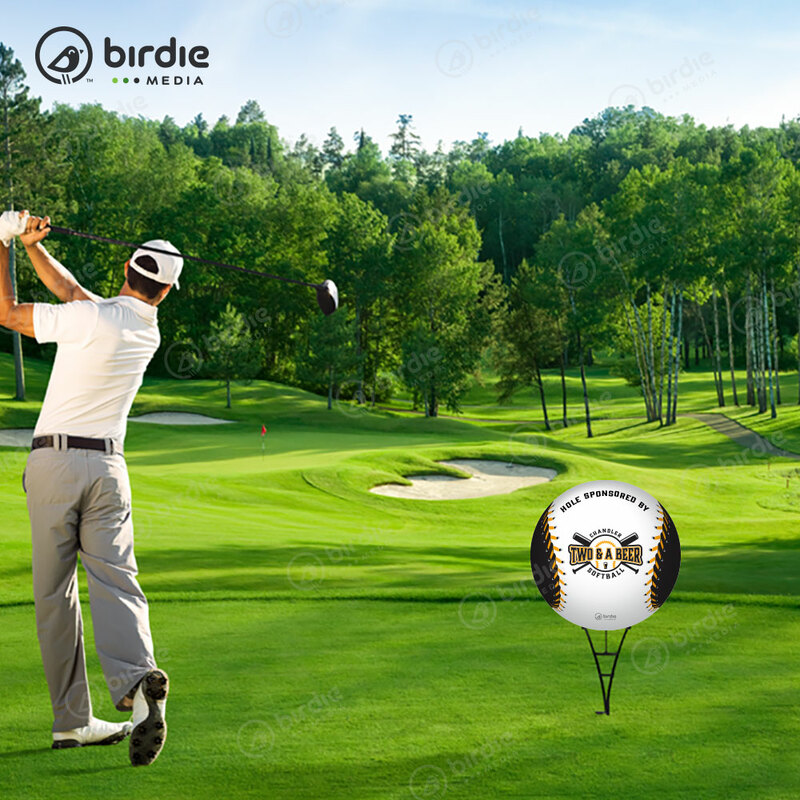 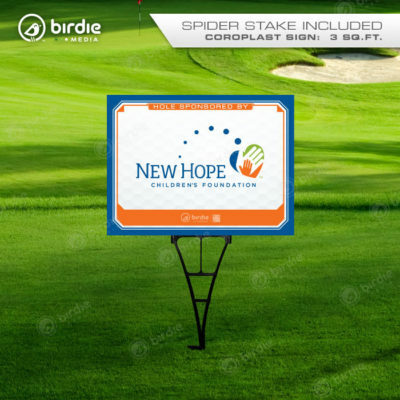 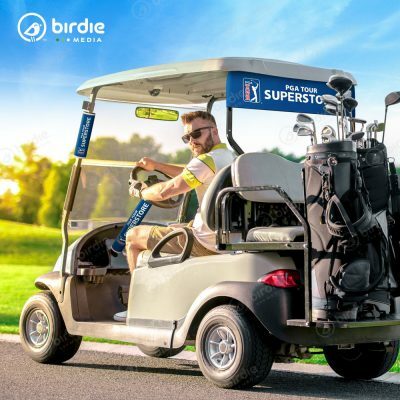 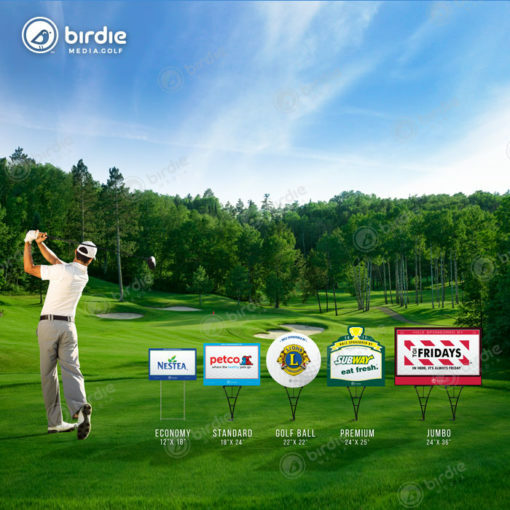 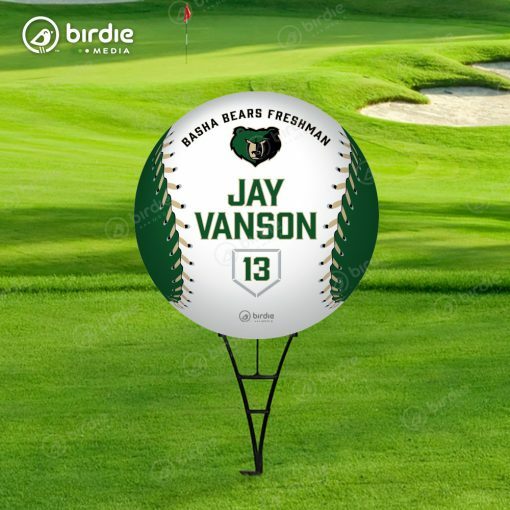 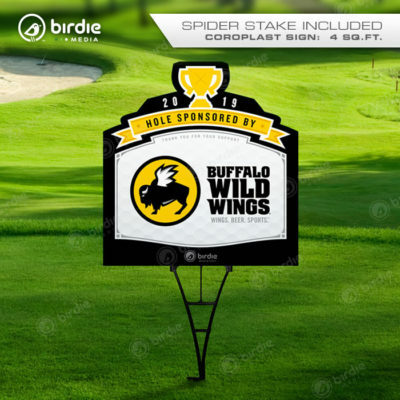 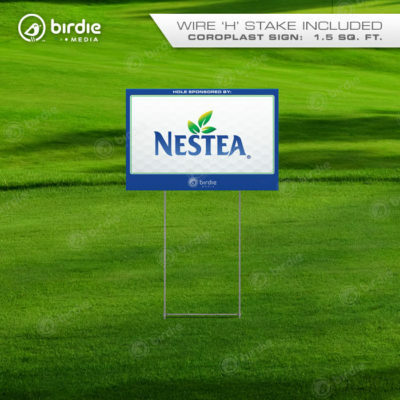 Golf tee signs are essential for promoting sponsors at charity event sponsors and Birdie Media offers eye-catching tee signs that make a statement and are visually engaging. 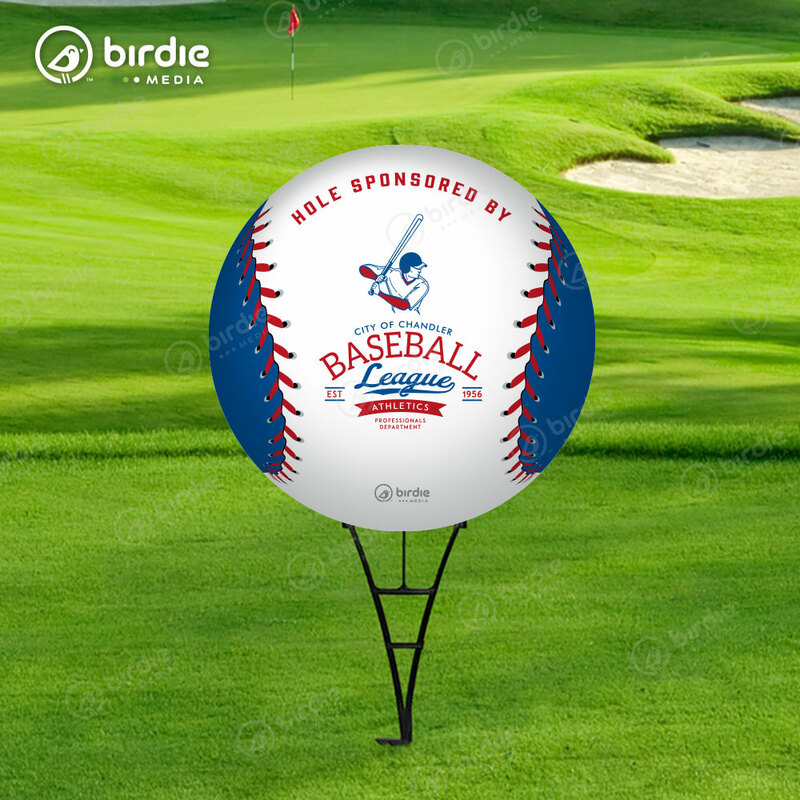 Choose our exclusive die-cut baseball/softball tee signs for your next event. 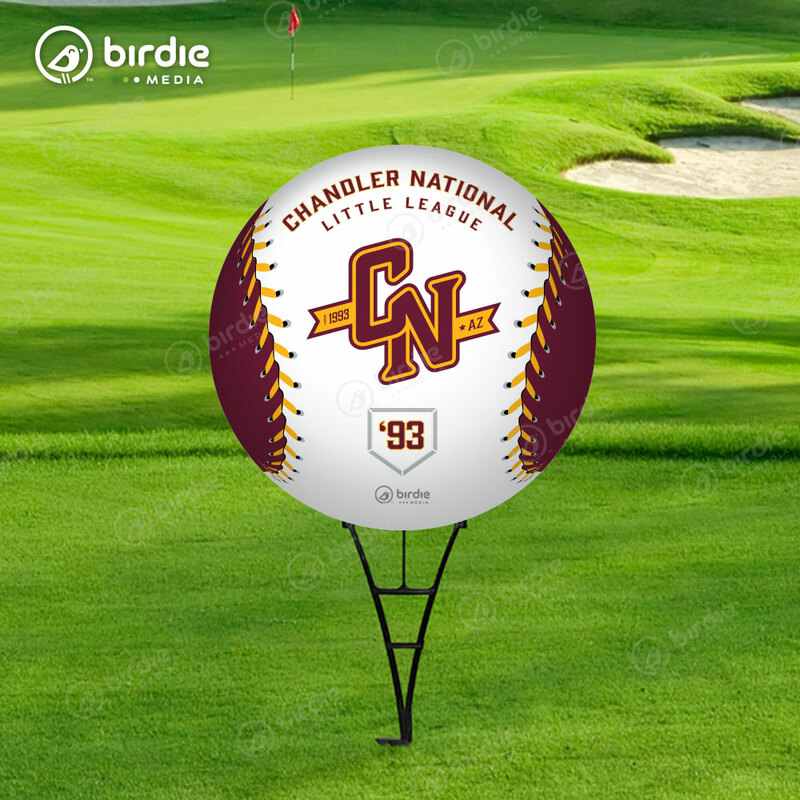 Both the windings & cowhide segments of the baseball graphic are customizable to correlate with the business sponsor or sport team branding. 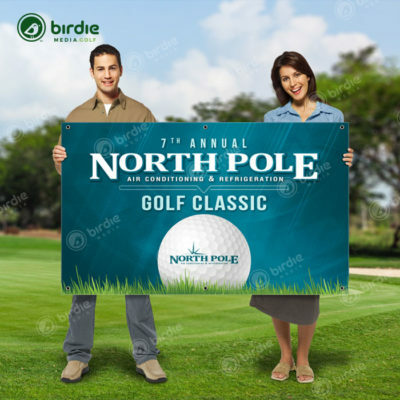 In addition to golf tournaments, these unique signs are often used to promote high schools, college teams and sports leagues.